This simple app makes it easy to log your treadmill runs. Enter the distance and duration of your run and the app will calculate the pace and speed. "How rare! A clean uncluttered app that does one job well." 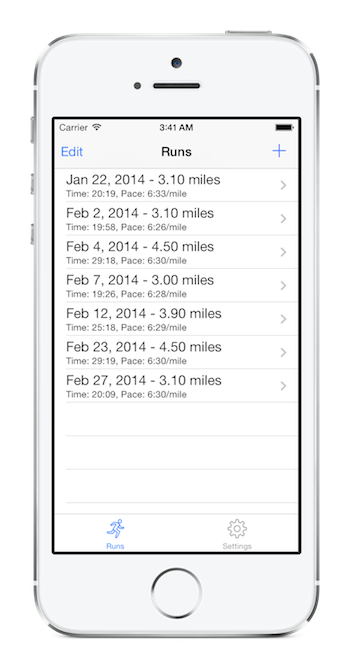 "Track your runs fast and simple. Great tool to keep you on track." "This is perfect if you just want to log your runs. Very simple and straightforward. Distance, time, pace (figured automatically), and date." "Good way to keep all of your treadmill runs in one place"
"Does what it should - tracks your treadmill run." Treadmill Run Tracker for iPhone, iPad, and iPod touch.